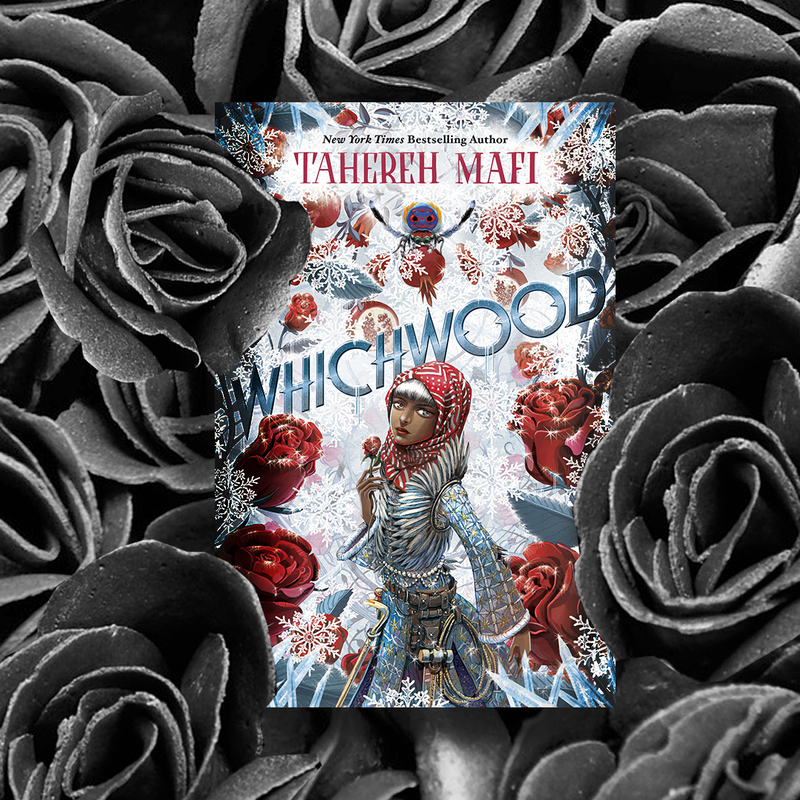 I am beyond excited to be a part of this blog tour for Whichwood by Tahereh Mafi. Whichwood is a Middle Grade Fantasy and is available now! Tahereh Mafi brings readers on a dark and lush new adventure about a girl who is fated to wash the bodies of the dead in this companion to her bestselling Furthermore. Laylee can barely remember the happier times before her beloved mother died. Before her father, driven by grief, lost his wits (and his way). Before she was left as the sole remaining mordeshoor in the village of Whichwood, destined to spend her days washing the bodies of the dead and preparing their souls for the afterlife. It's become easy to forget and easier still to ignore the way her hands are stiffening and turning silver, just like her hair, and her own ever-increasing loneliness and fear. But soon, a pair of familiar strangers appears, and Laylee's world is turned upside down as she rediscovers color, magic, and the healing power of friendship. I was thrilled when this book hit my email, I have been a fan of Tahereh Mafi's since her Shatter Me series, yes I loved Warner, no I am not a fan of how the end played out with Adam, yes I want more Kenji. When I saw that she was writing middle grade fantasies, I was over the moon. Tahereh's writing style is as magical as the worlds that she creates and I know will send middle grade readers off on extraordinary journeys with out 'dumbing down' the prose. The Furthermore books are books that give the reader an amazing adventure, while stretching the mind, and teaching important lessons along the way. 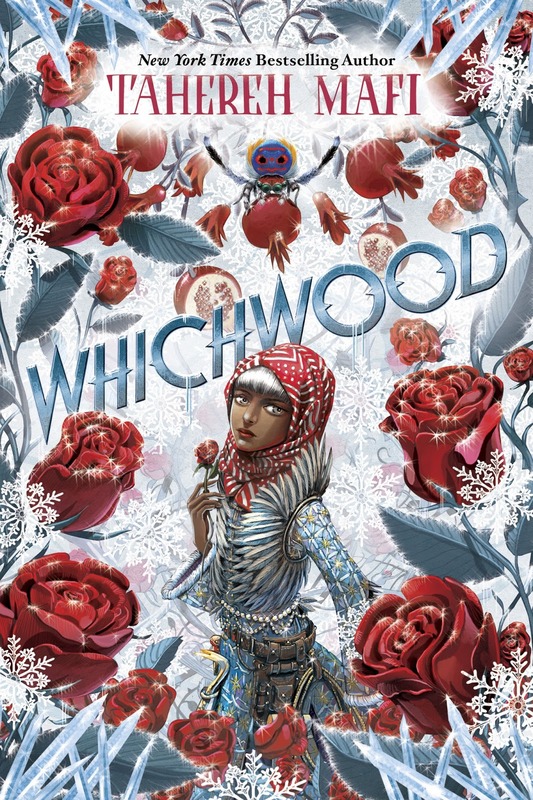 I loved the way that Tahereh Mafi wrote Whichwood, loved that she used 4th person to explain a little back story or to answer questions that aren't clear within the character dialogue. I loved that as I read I had Lemony Snicket feelings underneath all the playful and beautiful prose. I could talk about her writing style and world building for days but that's not really what you are here for however, I don't want to go into too much detail about the story because once you move past the writing details and into the actual story you will find that the story arc itself is very short and difficult to discuss without giving away important elements. So what takes up 360 pages of this book, descriptions. Normally I would hate this, I will say there were times where I wish we could just get to the point but at the same time I was so in love with the words and the way that Tahereh was weaving the story that I didn't want to look away, I didn't want to jump ahead because every little detail was beautiful and poignant. So I will skip over the details of the story, you know it is a story about a girl who washes the dead and the discovery of new friends and a wonderful moral for any age to learn. What you may not know is that this is a pretty dark book. I would hesitate to let my 9 year old read it, perhaps if I read it to her. I think that my 11 year old would love it but I do worry that it could create vivid and perhaps scary dreams if she read it at bedtime. There is one particular part that I found quite 'skin crawling' and I will say if you or your young reader are extremely sensitive to the idea of bugs you may want to take a deep breath before diving in. This is a book based around the dead, it is not what the story is ultimately about but dead bodies are discussed regularly, there is a moment where a parent is killed. Do I think that means you shouldn't let your upper middle grade readers read it, not at all. I think this is a beautiful story that is so much more than dark and creepy, but you may want to give it a quick read yourself and determine if it is a good fit for your middle grade reader first. I thoroughly enjoyed the characters in this book. Laylee has had a hard life, she's basically on her own at the age of 13 and has a weight on her shoulders that no child should ever have to bear. I loved her strength and determination. Her compassion for people who have not been compassionate to her in return. I loved her grace and beauty, outside and in. I also adored Benyamin and am hopeful that we will get more from him in future books, his story makes me a bit squeamish but he is much like Laylee and I am curious to see more of him in the future. Alice, I need to go back for her story, she's a wonderful character and Olivier...well, Oliver is a bit of something special I think. I can say in the beginning I thought he was a careless, thoughtless, self-absorbed boy, but in the end I fell head over heels for him and I want to see him in the future. His heart is bigger and more compassionate than I ever could have expected and out of all the characters he moved me the most, maybe it is my romantic heart and maybe it was an ending line in the story that did me in, but he is the guy. He in this story is my Warner. He may be your middle grade readers first book boyfriend! Speaking of Oliver and Alice, some how I missed reading Furthermore, I think time just got away from me and it got pushed back until it was so deep in my TBR that I just couldn't get to it. Even though I hadn't read Futhermore I was not lost while reading Whichwood, it is a standalone within a series. What it did do is make me want to dig down in that pile bump Furthermore up to the top. I loved that Oliver and Alice make an appearance and though I didn't know there story I wasn't confused, I just want to get to know them better now so as soon as I am done here I am off to start reading all about those two. This is a wonderful read, with beautiful characters. Whichwood is a magical journey that will have your readers minds spinning with fantastical stories and will introduce them to friendships that go beyond looks, education, race, and beliefs. It will remind them that it is not what is outside of the person but what is inside them that is the most important when finding new friends. I really loved this book even with all of its faults. Tahereh has made me fall in love with another world and I just want more! 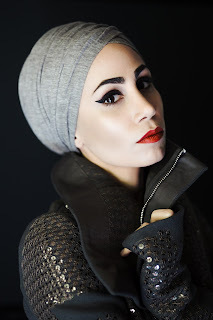 Tahereh Mafi is the New York Times and USA Today bestselling author of the Shatter Me series and Furthermore. She can usually be found over-caffeinated and stuck in a book. You can find her online just about anywhere at @TaherehMafi or on her website, www.taherehbooks.com.